Everything you need to effectively learn and teach Polish. See how we can help you learn Polish. Adjust the learning format to your individual needs. 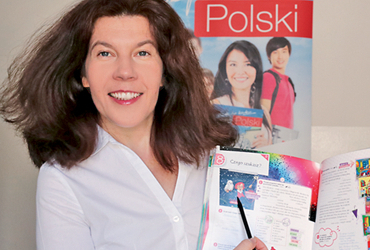 Discover new tools and materials to help you teach Polish to foreigners. These will help you prepare attractive and motivating lessons more quickly. You’ve found the perfect place, because the e-polish.eu portal is addressed to people who are interested in Polish for foreigners, especially those who are looking for a Polish language course. Whether you already know the basics of Polish, use this language at a high level, or are planning to start learning Polish, you will certainly find something right for you. We have prepared lots of options for you, tailored to different levels, needs, time limits and expectations. Depending on your preference, you can choose an online Polish course, individual classes with an internet-based tutor using our virtual classroom, or plan your trip to Poland for an intensive Polish course in Kraków and other cities. Whatever learning format you choose, you can be sure that you will be learning Polish with professional tutors with a passion for Polish teaching. On the e-polish.eu portal you will find a whole range of different materials, tools and information to help you get to know our language better. At the bookstore you can view and purchase the latest manuals, exercise books, grammar and vocabulary compendia, and much more. You can use our multimedia dictionary not only to check the meaning of words and expressions, but also learn tables by case, person, and so on. You’ve found the perfect place – the e-polish.eu portal is designed just for you. 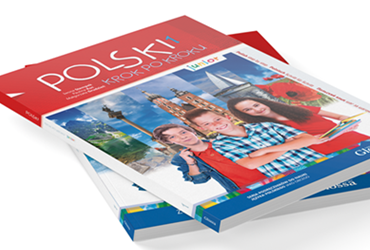 You will find a vast database of materials to help you diversify your Polish language courses right here. The materials available on the platform include both ready-to-use lessons and exercises, dialogues, recordings, tables, illustrations, and more. They were developed by a team of experienced teachers from the GLOSSA Polish language school in Kraków. Many of them are the authors of the best-selling series of Polish language textbooks for foreigners: “POLSKI krok po kroku” (POLISH step by step). The web platform e-polish.eu gives you the chance to take advantage of their knowledge, which they are happy to share through a special methodology forum. In addition, e-polish.eu is a wide range of tools to help you prepare and conduct activities. You can quickly create your own exercises, give homework and tests online and run a Polish course online. Now, wherever you live, wherever you are, you can have students all over the world! Don't delay, enter the virtual classroom and take advantage of our online Polish classes! 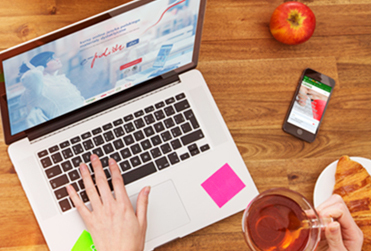 Take up the challenge and learn Polish online without leaving home through the e-polish.eu platform. 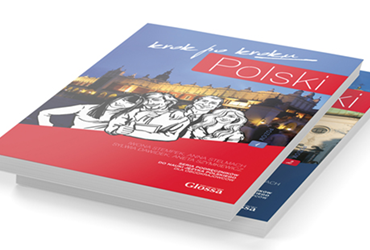 Check out our wide range at GLOSSA Polish Language School, choose the course for you and learn Polish in the centre of Kraków!